Welcome to the Algebra Challenge Event Website! 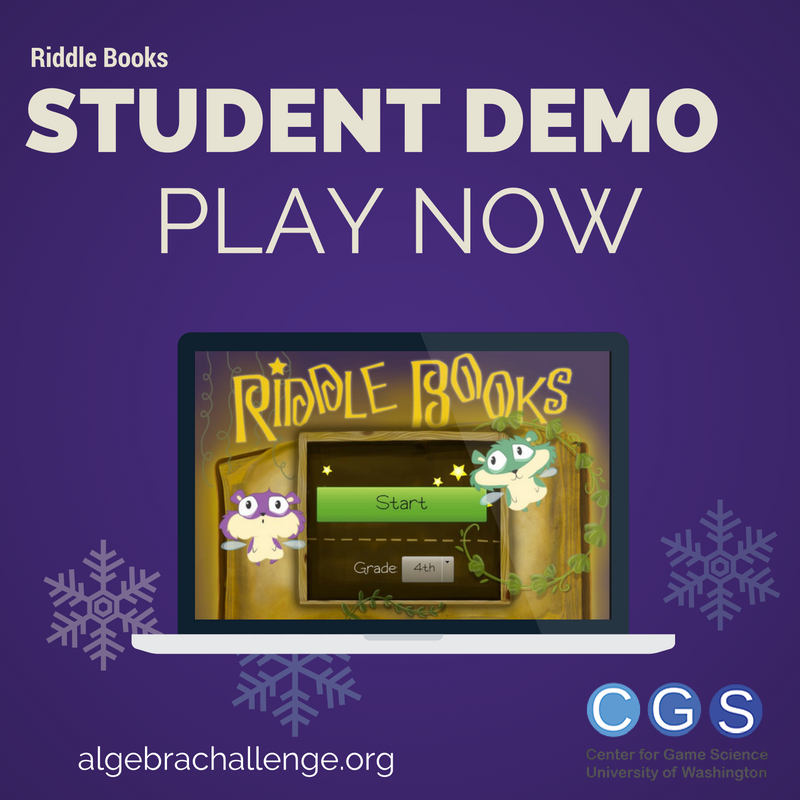 The Algebra Challenges are events run by the Center for Game Science at the University of Washington. During the challenge period, students are encouraged to solve as many equations or word problems as possible by playing innovative games that teach as you go. The play can happen in or out of school; the only requirement is access to a relatively recent computer. * Create excitement and enthusiasm about math for students of all ages! * Maximize accessibility of pre-algebra concepts to young students. * Improve curriculum specialization in order to enable every student in the classroom to achieve mastery, not just a subset. * Provide access to current and future learning tools from the UW Center for Game Science. Challenges are run at various times of the year in specific regions. Stay tuned for more information! We are interested in partnering with organizations that can publicize and run Algebra Challenges on a state and country-wide level. If you believe you are in a position to do this, please contact us! Specifically designed to enhance in-class instruction, our Algebra Challenges help students with bar model approaches to word problems, reinforce Common Core Standards, and provide you with in-classroom real time monitoring tools. What if we told you it is possible to learn word problems and level up your skills in algebra, just by playing video games? Sounds cool, right? Algebra Challenges are a great way to help reinforce classroom learning and help build new skills. We're committed to working with schools and districts worldwide to develop an Algebra Challenge event that makes sense for your needs.